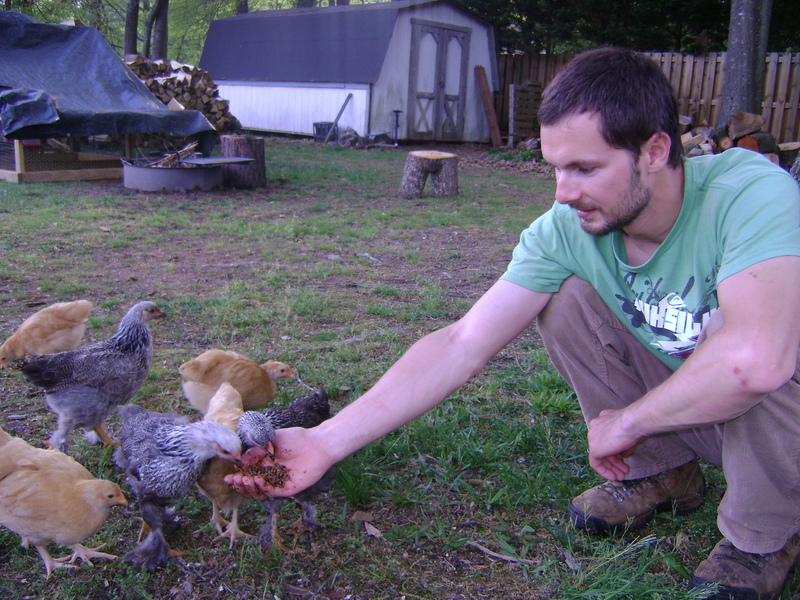 The chickens recently turned seven weeks old and Stephen decided they were big enough to leave the security of the chicken tractor and venture out into the real world. Because our back yard is fenced in we are able to let them free range. Let me tell ya…..these ladies LOVE their freedom! 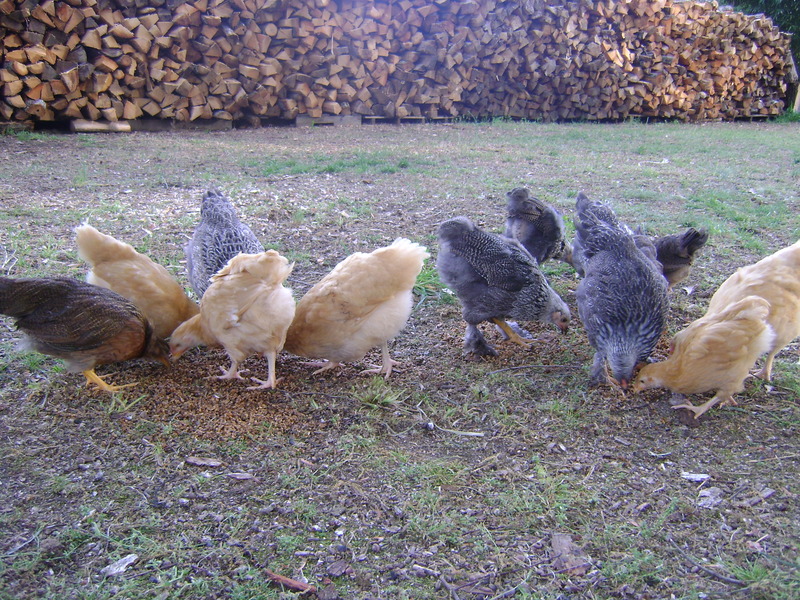 They run around the yard, eat lots of grass and weeds, fly up on top of the compost pile to eat kitchen scraps, hang around the wood piles to eat bugs, scratch in the leaves to find bugs and lay under the bushes in the heat of the day. Besides the food that they find for themselves we also feed them chick starter crumbles, grains that we pick up for free from a local brewery and meal worms that we raise. These chickens seem to eat non-stop. Ummm…..lets just say our lawn is well fertilized. 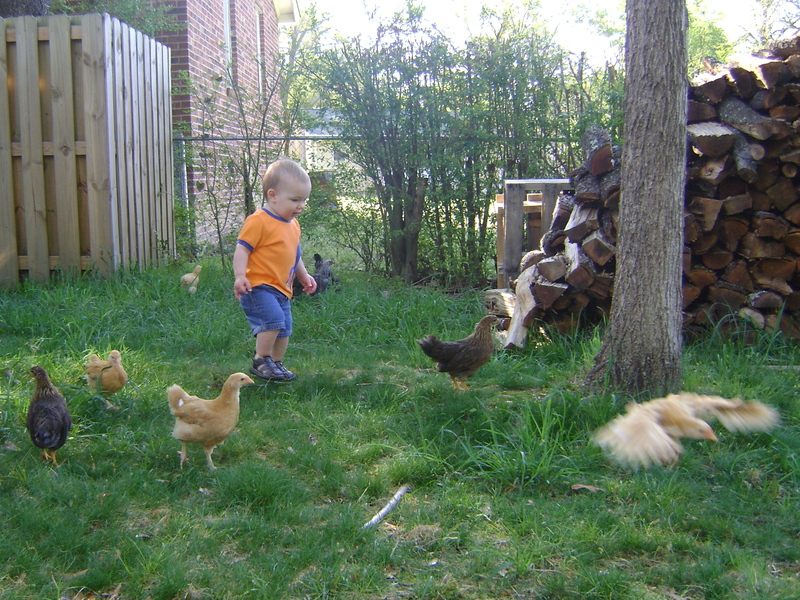 The chickens will come to Stephen if he calls them and has food. Henry, however, is a different story. He wants so badly to pet them but as soon as they hear his excited squeal they run away.